Studio Movie Grill eGift Cards and Plastic Gift Cards (collectively "Gift Cards") are distributed by CashStar, Inc., a Delaware corporation ("CashStar"). By visiting https://studiomoviegrill.cashstar.com, you agree that the laws of the State of Texas, without regard to principles of conflict of laws, will govern these Gift Card terms and conditions ("Ts & Cs"). Studio Movie Grill Holdings, LLC, a Texas limited liability company (“Studio Movie Grill”) and CashStar reserve the right to change these Ts & Cs from time to time in its discretion. 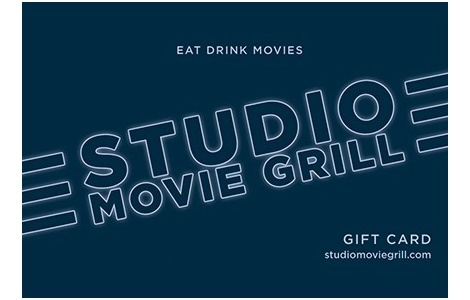 Studio Movie Grill Gift Cards are issued by Studio Movie Grill. Please refer to https://www.studiomoviegrill.com/Default.aspx for additional Terms and Conditions.